There’s nothing like having a full, vibrant smile to let the world know how happy about life and living you are. Several failing or missing teeth, or a denture that just doesn’t feel right for you, however, can take away your ability to express yourself fully. Complete tooth replacement can seem impossible, scary, and even embarrassing. But, All-On-4® in Country Walk is the most efficient and effective treatment for tooth loss available. 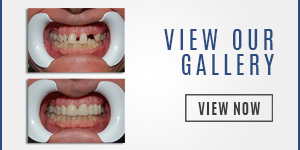 You can receive a brand new set of lower and upper teeth that look and feel natural. It is cost effective, prevents any future bone loss in the jaw, and they are customized to fit you perfectly. Tooth loss is actually fairly common in American adults. An estimated 35 million Americans are missing all of their teeth, and over half the population of the country are missing at least one permanent tooth. For many, visiting the dentist is an uncomfortable experience because they are afraid of what they will be told. Dr. Andres de Cardenas and his staff of caring, concerned professionals want you to know when you walk into their office you’re valued as a patient and treated as a part of the family. That’s why Dr. de Cardenas also wants you to know you do have options when it comes to improving your teeth and smile. 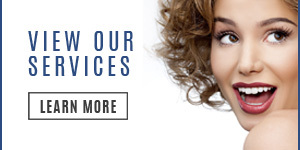 Our staff will work closely with you to make sure you have all of your questions and concerns answered, so you can feel confident in the treatment or procedure you will receive. One of your dental options is the All-on-4® in Country Walk treatment concept that has helped millions of patients nationwide already. In the comfort and security of his office, using the All-on-4® treatment concept, Dr. de Cardenas can completely replace an upper or lower set of teeth no matter the existing bone volume. Using only four titanium implants, a full upper and/or lower denture (containing 12 to 14 teeth) can be supported. 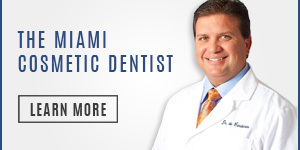 With great care, Dr. de Cardenas fully customizes these full-arch prosthetics to your individual specification, giving you a fit and feel as good as, and in many cases better than, your original teeth. The new prosthetic teeth are your just like natural teeth, allowing you to eat, talk, and, most importantly, smile confidently in front of your family, friends and new acquaintances. The titanium implants used in the All-on-4® treatment fuse to the existing bone in your mouth, stopping any future bone loss and allowing the prosthetics to function just as natural teeth do. The All-on-4® treatment concept has some unique benefits. With the All-on-4® treatment option, you’ll have a new smile in one day and Dr. de Cardenas’ All-on-4® patients have functioning teeth and a beautiful smile immediately after the procedure. After your procedure is finished you will no longer have to feel embarrassed by your smile, and you can feel confident in knowing your teeth look better than ever! Additionally, your new teeth are fixed and non-removable and you can treat them like natural teeth by regularly brushing and flossing them. In total, the All-on-4® implants can be your permanent tooth replacement solution that is more effective, less expensive, and higher quality than other alternative procedures. Is All-on-4® Right for Me? Looking to show your loved ones and friends how excited you are about them or about life with a wonderful smile, then Dr. Andres de Cardenas invites you to come in and find out how the All-on-4® treatment concept can give you the confidence and security there is in a vibrant smile. You can contact us using our convenient email form and we’ll get right back to you, or simply call us at (305) 251.3334. Talk to Dr. Andy de Cardenas about the All-On-4® in Country Walk dental treatment and experience the difference between being treated like a patient, and being a treated as a part of the family.